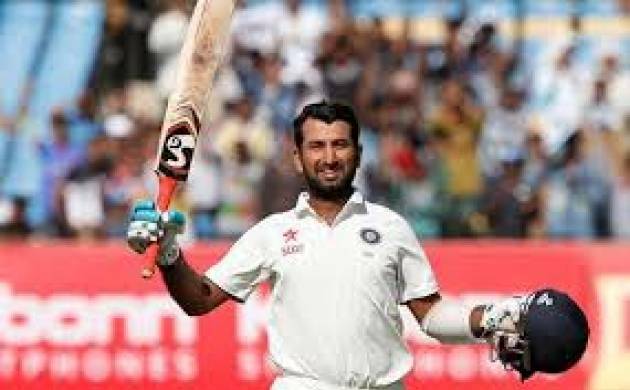 Pujara, who has scored 4,396 runs at an average of 52.96 in 54 Tests, currently has 873 points in the list of Test batsmen, headed by Australia captain Steve Smith, who continued to top the rankings for almost two years. India's middle-order batsman Cheteshwar Pujara gained a place in the ICC Test batsman rankings to reach the third spot for the first time in the career. Top-ranked Smith moved closer towards Don Bradman's highest-ever ranking points after a match-winning double- century in the third Ashes Test against England in Perth. The Australia captain's innings of 239, which helped his team regain the Ashes by taking an unassailable 3-0 lead in the five-match series, has seen him reach a tally of 945 points to take joint second position in the all-time list along with Len Hutton. Smith is within 16 points of Bradman's tally of 961 points, has had a minimum of 918 points over the past 12 months, which is 25 more than what second-placed Virat Kohli's current total. Smith is already ahead of Bradman with regard to the number of Tests at the top. He has now been number one for 114 Tests, which is the fifth-most in a list led by Gary Sobers (189 Tests) and with Viv Richards (179), Lara (140) and Tendulkar (139) the others ahead of him. In the bowlers' list, Ravindra Jadeja and Ravichandran Ashwin continued to hold the third and fourth place, while England's new-ball bowler James Anderson and Australia pace bowler Josh Hazlewood gained one slot to move into the top five after finishing with eight wickets in the match. Pat Cummins of Australia (up four places to a career-best 39th) and Craig Overton of England (up seven places to 89th) have also gained in the latest rankings. Jadeja and Ashwin were placed at the second and fourth spot in the all-rounders list. Batsmen to reach career-best rankings after the Perth Test include Dawid Malan of England (up 47 places to a 52nd) after his innings of 140 and 54 in Perth and Mitchell Marsh of Australia (up 44 places to 65th) after his score of 181. Jonny Bairstow (up one place to 15th) and Usman Khawaja (up two places to 19th) are the other batsmen to have moved up.